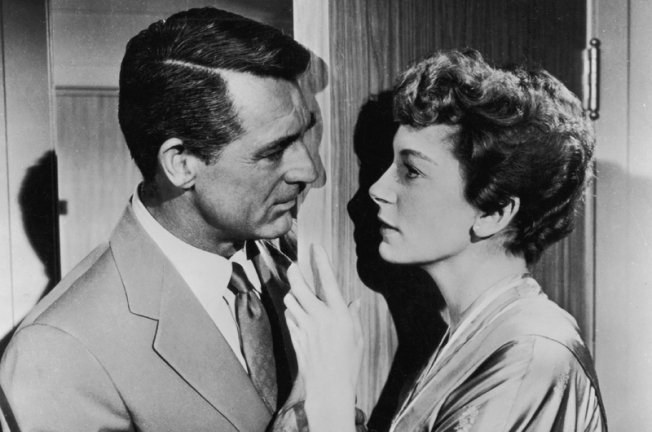 AN AFFAIR TO REMEMBER: Forget "Sleepless in Seattle." See the real deal - the one that started it - with Cary Grant and Deborah Kerr. You'll cry. Seriously. You will. A bucket of popcorn. A medium Coke. Two tickets to the movies. That'll be 25 bucks, please. And there's no money-back guarantee in the New Hollywood. But the Old Hollywood? Free. For seven weeks this summer at the National Theatre, Cary Grant films will remind you why he's one of the most revered leading men of all time. Grant steams up the silver screen with Grace Kelly, Ingrid Bergman, Katharine and Audrey Hepburn, and other flawless starlets from 1938 to 1963. You'll need a ticket to enter the elegant venue. Just show up 30 minutes before the show each Monday at 6:30 p.m., and they'll be given out on a first-come, first-serve basis. Per the rules at the National Theatre, you'll have to leave the popcorn and soda at home, but who needs salty and sweet distractions when in the presence of a smoldering on-screen romantic thriller? And these sure-fire classics won't cost you a thing. As Grace Kelly might whisper seductively to you (just as she does to Cary Grant in the first featured film, "To Catch a Thief"), "Have you ever had a better offer in your whole life?"